Known only by their initials, cool young couple C (Casey Affleck) and M (Rooney Mara) live in a beautifully ramshackle suburban home, which C loves while M can’t wait to move away from. When tragedy strikes and musician C is killed in a car accident, M is left crushed and distraught by this huge loss. While C lies dead in a hospital morgue, M who has come to identify her beloved is inconsolable with an insurmountable grief. Unable to cross to the other side, C becomes a white-sheeted ghost who returns home to comfort M. Becoming stuck on earth a shape of a ghostly figure while time passes around him, C finds himself unable to leave the house, forever waiting for something to happen. Days, weeks and years pass, as C becomes part his surroundings and refusing to leave even after M eventually disappears and starts a new life elsehwere. New residents after new residents are terrified by C’s invisible, and at times angry, ghostly presence, but what exactly is keeping him there. Opting to put his main protagonist under a sheet for most of the film, Lowry takes huge aesthetic risks, but soon you start to forget that the sheet is even there or care whether Affleck is even under it. While the story itself carries a rather heavy central narrative, Lowry is never too morose or depressing. HIs ability to convey the sense love, and attachment to a loved one is beautifully executed. 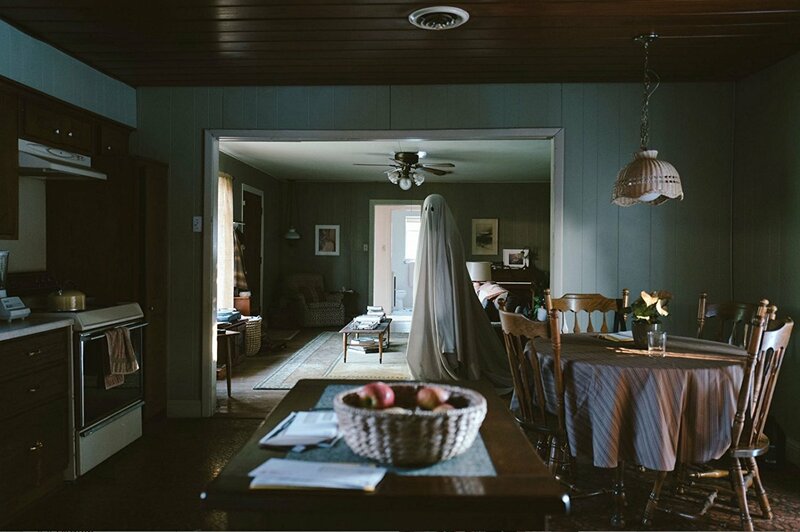 A Ghost Story is a genuinely impressive study of grief, loneliness and anger at death. Mara and Affleck are genuinely mesmerising in their representation of a couple who genuinely love each other, even if they don’t always agree on every thing. A must see. A Ghost Story is out Friday 11th of August.